Wilson's global studies program provides students with a critical skill for success in any field—the ability to communicate across cultural, racial, economic and gender differences. This interdisciplinary program allows students to foster a greater understanding of the challenges that we face as citizens of a complex, globalized and interconnected world. When compared to other more traditional programs offered at institutions throughout the region, the global studies program at Wilson College is distinct. Unlike many programs that only focus on international relations, our program delves into the study of the complex forms of globalization that move outside the borders of nation-state actors. The coursework in the global studies major encompasses multiple facets of global cultures. In addition, students explore diverse service-learning opportunities, fieldwork, internships and study abroad experiences. Students gain proficiency in a world language other than English and graduate with strong public speaking and writing skills. Global Studies is a cross-disciplinary program that seeks to foster understanding of the challenges that we face as citizens of an interconnected world. Students will acquire the knowledge, skills and perspectives necessary to develop cultural literacy and to comprehend complex global events and processes of globalization, as well as an ability to respond to them effectively. Why major in global studies? Become a culturally aware and globally engaged world citizen. Engage in interdisciplinary learning across such disciplines as sociology, political science, history and foreign language. Achieve depth of knowledge within a chosen area of specialization such as the study of world cultures, the Hispanic world, or the francophone world. Partake in study abroad opportunities across the globe. Participate in immersion experience opportunities in the United States. Develop intercultural competencies essential for thriving within a multicultural workforce. Demonstrate to future employers or graduate schools that you are prepared for today’s global community. In January, approximately 11 Wilson College students, accompanied by several faculty members, will travel to the Dominican Republic to take part in the College’s first medical mission trip. International students get a taste of American life at Wilson and offer a different perspective in return. 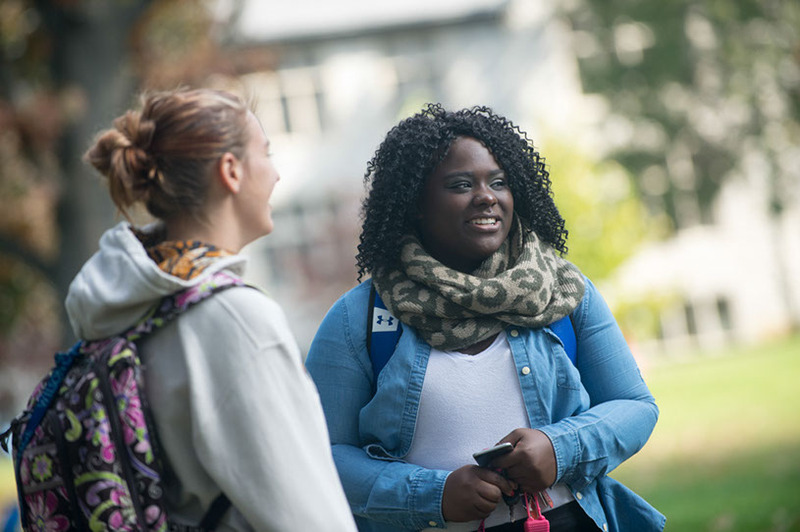 Have a question about one of our majors or applying to Wilson College? Please complete the form below or call us at 1-800-421-8402. Please provide the following information in order for us to best direct your inquiry. State or Province * - Select -AlabamaAlaskaArizonaArkansasCaliforniaColoradoConnecticutDelawareFloridaGeorgiaHawaiiIdahoIllinoisIndianaIowaKansasKentuckyLouisianaMaineMarylandMassachusettsMichiganMinnesotaMississippiMissouriMontanaNebraskaNevadaNew HampshireNew JerseyNew MexicoNew YorkNorth CarolinaNorth DakotaOhioOklahomaOregonPennsylvaniaRhode IslandSouth CarolinaSouth DakotaTennesseeTexasUtahVermontVirginiaWashingtonWest VirginiaWisconsinWyomingDistrict of ColumbiaAmerican SamoaGuamNorthern Mariana IslandsPuerto RicoUnited States Minor Outlying IslandsVirgin Islands, U.S.